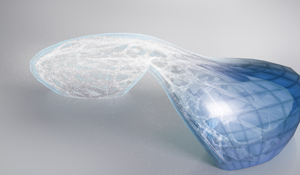 Are you using all the tools in your 2014 Autodesk Design Suite? Thinking about upgrading to a Suite and want to see what the additional solutions can do for you? Then the upcoming user groups are a must attend for you. There are lots of new products included in the Suites that can help you explore more design alternatives, achieve better results, and collaborate with your team, but to make this all happen, you need to know what the tools do and how to use them. Join Synergis and industry colleagues at one of our upcoming User Groups to show you step by step how to use these real tools and answer your questions. Maybe you’ve seen the demos of Autodesk ReCap using laser scans and digital images and turning them into CAD data, but how do you actually do it? Todd Schmoock, Synergis Manufacturing Solutions Engineer, will show you the ins and outs of using ReCap with digital images and go over some best practices and tips to help you work efficiently with this new tool. 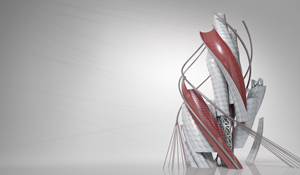 AutoCAD Raster is another time-saving tool that Autodesk included in the Suites this year. If you have old board drawings, or work with another firm who has old board drawings, AutoCAD Raster is able to read scanned drawings to give you a lot of the lines and points to make your job easier. Jim Swain, Synergis Project Manager for Manufacturing, will go step through step through the workflow so that you can go back to the office and quickly turn those dusty drawings to electronic files. Join us for one of our two upcoming User Groups. Dinner is offered at all and it is free to attend, although you must register ahead of time. We look forward to having you join us. If you have any questions about the events, please contact us by email or by phone (800.836.5440).